Years 7, 8 and 9 are an exciting time of discovery and exploration, in which our students build on the experiences and learning of their primary years and prepare for the rigours of the final years of school. At this important time in the social and intellectual development of young adolescents, we have tailored the physical and educational environment to meet their particular needs. Our co-educational environment also develops a strong sense of respect, trust and friendship between all students. The Middle School’s motto is ‘Challenge and Choice’. Our teaching and learning environment offers an exceptionally broad range of study options that will motivate and encourage every student. We cater for all levels of ability and allow students to explore their own specific interests. Our focus on ‘real world learning’ also takes students well beyond the boundaries of our campus, particularly through interdisciplinary units. All students in Middle School use notebook computers to support their learning, and our purpose-built classrooms allow teachers and students extraordinary flexibility. Classrooms in Middle School offer a variety of seating options and table styles – from high stools and benches to couches – as well as large screen displays, interactive mobile touchscreen televisions and retractable walls so that teachers and students can arrange spaces to suit their learning and teaching needs. The transitions from Junior School and to Senior School are managed carefully and sensitively for our Year 7s and Year 9s; before their first or last day arrives they will already feel a part of their new Carey environment. Our Middle School is separate but not isolated from our Junior and Senior Schools, allowing for cross-age activities with both younger and older students. In all areas of our program, we are mindful of students’ wellbeing with our House system providing the core of our pastoral program. 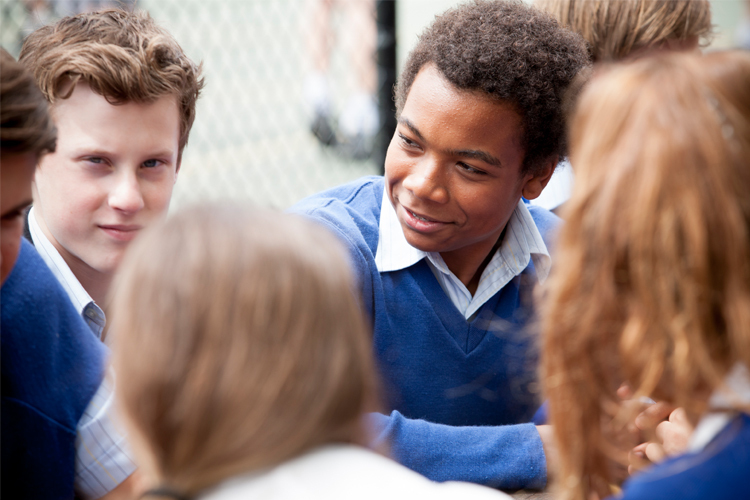 In the Middle School, students are divided into cross-age Mentor Groups, with the same House Mentor moving through the Middle School with their group. In addition, many Year 7 classes are held in homerooms to enhance the sense of security and stability.